Idaho Fish and Game has completed wolf control actions in northern Idaho's Lolo elk zone to improve elk survival in the area. Seven wolves were taken during the operation, which started in late February. The operation is consistent with Fish and Game's Elk Management Plan and Lolo Predation Management Plan. The control operation was paid for using Fish and Game license dollars transferred to the Idaho Wolf Depredation Control Board, created by the Idaho Legislature in 2014. The lice that are found on wolves are usually Trichodectes canis. 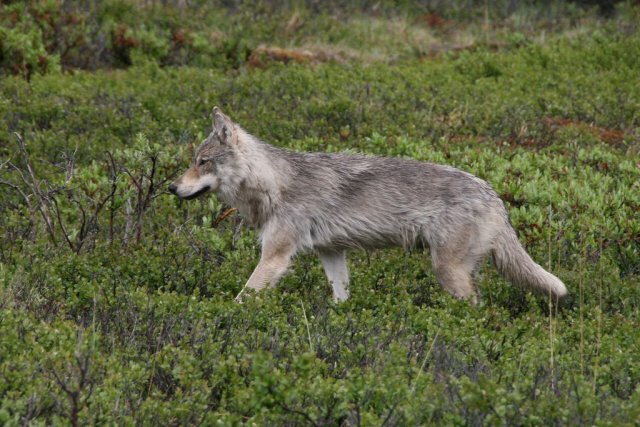 Trichodectes canis is found in wolves across most of North America. The louse has been documented on wolves in Idaho. Trichodectes canis on wolves is typically found in low numbers. Lice are small, about the size of a flattened rice grain, and are usually found in the groin and armpits. In large numbers, the lice tend to cause irritation and itching, which results in a diamond shaped area of hair loss over the back of the affected animals. Tapeworms are segmented worms that are usually found in the small intestine or other tubular structures of animals. There are numerous species of tapeworms that affect a variety of animals with highly variable life cycles and many sizes. Tapeworms are found worldwide and have been reported from many species of wildlife in Idaho. Typically animals that are infected with tapeworms show no outward signs. Tapeworms are occasionally found when animals are examined after being harvested by hunters.